Mayor Chris Cerino called the meeting to order at 7:34 p.m. In attendance were Councilmembers David Foster, Linda C. Kuiper, Rev. Ellsworth Tolliver and Mauritz Stetson, W. S. Ingersoll (Town Manager), Jennifer Mulligan (Town Clerk) and guests. Mayor Cerino asked if there were any additions or corrections to the minutes of the Mayor and Council Meeting of February 19, 2019. Mr. Stetson moved to approve the minutes of February 19, 2019 as submitted, was seconded by Rev. Tolliver and carried unanimously. Mayor Cerino stated that total operating funds on hand for unrestricted use was $1,310,795.85. Restricted funds for the Marina were set aside in the amount of $1,802.10. Mayor Cerino asked for a motion to approve the payment of the bills. Mr. Stetson moved to approve payment of the bills as submitted, was seconded by Mr. Foster and carried unanimously. Mr. Ingersoll stated that the bids were reviewed for completeness and both bidders met the bid requirements. The apparent low bidder was David A. Bramble, Inc. and he said that Mr. de Mooy recommended the bid be awarded to them. Mr. Stetson moved to award the bid for Carpenter Park to David A. Bramble in the amount of $136,700.00, was seconded by Rev. Tolliver and carried unanimously. Mr. Ingersoll asked for a motion to adopt Ordinance 01-2019 Critical Area, noting that there had been a public hearing for the Ordinance earlier in the evening. Mr. Ingersoll stated that refinements were made to the buffer, but no property has changed its designation. Mr. Foster moved to adopt Ordinance 01-2019 Critical Area which repeals and replaces Article XIII Critical Area Ordinance, was seconded by Mr. Stetson and carried unanimously. Sultana Education Organization: The Sultana Education Foundation purchased an 8 ½ acre tract of land with a pond and some wetlands which formerly belonged to Stepne Manor. This area will be turned into “The Lawrence Wetland Preserve” and the grant would be used for planning. He said that boardwalks and trail networks for the wetlands would be used for educational programming. Mayor Cerino stated that he would be recusing himself from further discussion for this letter of support, but the rest of the Council agreed that it should be signed and sent along with Sultana’s grant request. The C.V. Starr Center at Washington College: This C.V. Starr Center was applying to both the Maryland Heritage Areas Authority and the Andrew W. Mellon Foundation for funding for “The Chesapeake Heartland Project”, a collaborative effort between the C.V. Starr Center and the National Museum of African American History in Washington, D.C. They would work to preserve, digitize and interpret materials related to African American history and culture for archival purposes in Chestertown, Kent County, and the rest of the Eastern Shore. Through digital archives, an interactive website and programs designed to engage local students and community members, the program will bring the stories of the African American Community to life. One of the most important elements of this initiative is the creation of a pro-digitization truck, a mobile platform that will visit communities and help local residents digitize their historical photographs, videos and family documents. Mr. Stetson moved to approve the letter of support on behalf of the C.V. Starr Center, was seconded by Rev. Tolliver and carried with four (4) in favor. Mr. Foster recused himself from the vote as his wife sits on one of the Boards mentioned in the letter. The Kent County Historical Society (Bordley History Center): The Kent County Historical Society is requesting a capital grant for building improvements on the Bordley History Center. Ms. Barbara Jorgenson, Second Vice-President of the Historical Society, was present and said that there are some foundation problems where the back of the building is starting to come apart and the front of the building’s basement supports are deteriorating. She said that water is coming down and inside through the bricks and there was a rotted beam above the main entrance. Mayor Cerino read the letter of support into the record. Rev. Tolliver moved to approve the letter of support for a capital grant to the Kent County Historical Society for structural work to the Bordley History Center, was seconded by Mr. Stetson and carried unanimously. Mr. Foster stated that all was fine in the First Ward except people asking about the policy on yard waste. He asked if policies were written anywhere. 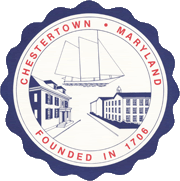 Mr. Ingersoll stated that he would give Mr. Foster the literature on yard and bulk waste pick-up and said that the list was also on the Town website at www.townofchestertown.com. Ms. Kuiper stated that Chester Gras was held this past Saturday and there was a good turnout despite the weather. Ms. Kuiper sated that Sumner Hall had James Patterson’s works on African American history on display during the month of March. Ms. Kuiper stated that there would be a meeting with the Farmers Market vendors on Tuesday, March 5th at 6:00 p.m. on the second floor of Town Hall. Ms. Kuiper stated that there would be a meeting on Wednesday, March 6th at 6:30 p.m. in the Visitors Center for the Tea Party Festival. She said that volunteers are needed. Ms. Kuiper said that she wanted to send prayers and condolences to the families of the two women who died in a house fire on Washington Avenue this past Sunday. Rev. Tolliver stated that he was excited for the renovations at Washington Park and that he could not wait for the work to be done. Rev. Tolliver stated that following the last Mayor and Council meeting he reached out to members of the LGBT community and met with them to discuss differences. He said that they made some headway on how to together move forward, with the understanding that all people have different opinions on how things should be. He said that he was happy he got the chance to meet with the organizers of the festival to discuss that effort. Mr. Stetson stated that he attended the Chester Gras parade and said although it was smaller than usual, perhaps due to the weather, but it was a nice time. He said that it looked as though Mayor Cerino enjoyed the car he got to ride in during the parade. Mr. Stetson stated that he went to the Bordley Building and met with Comptroller Franchot who presented a Certificate of Recognition to the Kent County Historical Society. He then went with Comptroller Franchot to Washington College where the Governor Schaeffer Award for Helping People was presented to Barbara Reed. Mr. Stetson stated that he received a letter with an article about a town in Orange County, California regarding the acceptance of anonymous donations. He said it was ironic that the letter was sent to him anonymously, but he did not find that the issue relevant to Chestertown. Mr. Stetson stated that the exercise equipment for the Dog Park should be installed by Easter. He said that he was working with the street superintendent about resurfacing areas of the park. The Friends of the Dog Park would pay for the material for the exercise equipment and resurfacing. Mayor Cerino asked if there were any questions or comments from the audience. Ms. Mary Celeste Alexander, resident of the 100 block of North Queen Street, said that her block of Queen Street is getting worse by the day. She said that she has been asking to have the street repaved for some time and would like a timeframe on when the work would be done. Mr. Foster stated that Queen Street was the priority when paving begins in Chestertown. Ms. Alexander said that the street had to be dug up and water issues needed to be addressed before the road was repaved. She said that the curb almost meets the sidewalk and when it rains the water goes right onto the brick sidewalks. Mr. Ingersoll stated that the road will be milled and overlaid, noting that it will be the first one done when funds are available. 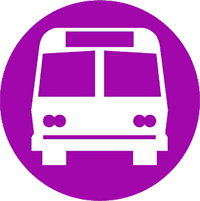 Mr. Ingersoll stated that the street crew has been working on sidewalks, storm drains, curb and gutter along Queen Street in preparation of the work. Mr. Ingersoll stated that the Town applied for a $4.5 million-dollar grant for 13 miles of road but were unsuccessful in having it be funded. He said that the Town was just recovering from the Recession and did not have the funds to repave the roads on the scale that is required. Mr. Ingersoll stated that having raised taxes last year and this year the revenues for State Highway User funds were being restored to their levels prior to the Recession which he thought would help a great deal in the road paving efforts. He said that Queen Street will be the first street done in Town. Mayor Cerino asked if there was a timetable for the work. Mr. Ingersoll stated that he could bid out the work now and try to have it done when the asphalt plant opens. The Council agreed to bid out the work. Mr. Jonathan Chase, a resident of Kingstown, stated that he wanted to make a couple comments in the aftermath of the last Mayor and Council meeting. He thanked Rev. Tolliver for meeting with the organizers of the PRIDE event and said that he appreciated the effort. Mr. Chase said that the Town Council should not be in the business of approving or disapproving any event based on its subject or content. The Town should review permits the way other cities and towns across America review their permits, which was about safe and orderly movement of traffic; undue burden on police, fire, ambulance and other emergency resources; the likelihood of injury, disorder or property damage; adequate sanitary facilities; garbage cans, stages, barricades, etc. Mr. Chase stated that permits addressed in this fashion would allow Chestertown to take great pride in celebrating its first amendment of the Constitution, the rights of freedom of speech and peaceful assembly. Ms. Laura Johnson, Vice President of Finance at Washington College, stated that the College will be putting several of the properties the College owned on the market. In total, there were seven (7) properties that will be put up for sale, including the LaMotte property at the corner of Rt. 291 and Rt. 213. Ms. Johnson said that the properties being listed for sale are not tied to the College’s strategic plan and she did not want anyone to think that the College was liquidating. She said that 301 Washington Avenue is already listed for sale and properties on Prospect Street will soon follow. Ms. Kuiper stated that she wanted to make a comment about the last meeting. She said that she did not appreciate being included in emails to the Mayor and Council regarding a councilmember’s own opinion, and then receiving another email only to her and one other councilmember on how they should and should not decide on permit requests. Ms. Kuiper stated that she stood on her oath of office and did not appreciate being challenged or criticized for doing so. There being no further business and no other questions or comments from the audience, Rev. Tolliver moved to adjourn the meeting at 8:10 p.m., was seconded by Mr. Stetson and carried unanimously.